A rectangular yard provides many options for landscaping. 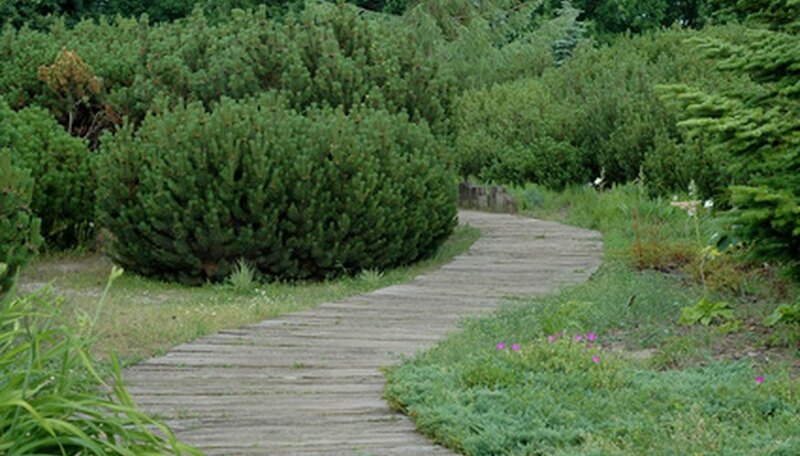 The principles of landscape design are unity, balance, interest, rhythm and movement. Whether a suburban setting with a large yard or a small urban patio, a rectangular yard can be used to create a lively cottage garden or be divided to create spaces that work with the needs of the homeowner, yet still maintain the principles of design. If the back of your house faces directly away from the midday sun, you will likely have a shaded backyard for most of the day. 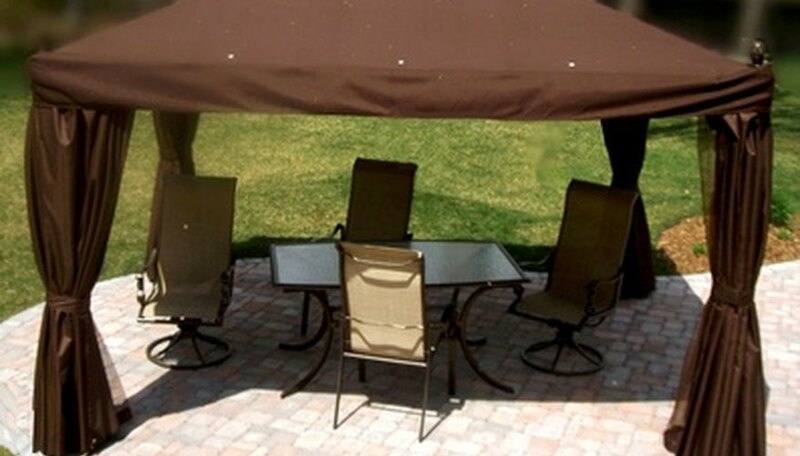 Set your main patio or seating area in the sunniest spot in your yard, and build a simple shade structure for really hot days, if this is not directly behind the house. Using natural stones or pavers, create a path from the main patio to another seating area on the other side of the yard that can serve as an early morning or late afternoon sunspot or a cool shady place during the heat of the day. Flower and plant beds line the sides and back of the yard, creating a flow of movement between the two. Position an island bed along the path to add interest. Lawn grass can fill in the open areas. Plants for the landscape should include sun loving varieties—such as lysimachia punctata (loosestrife), spiraea and astilbe—and those that thrive in shade, such as the hardy rhododendron and hosta. Use plants that grow well in both sun or light shade, such as zantedeschia (calla lily), schizostylis coccinea (kaffir lily) or virburnum. Create interest in a long narrow yard, which is typical in many cities and towns, by creating an angular or rounded patio. Use pavers or brick to reshape an existing square patio, or create an angular or rounded plant bed around the patio to create the same illusion. Add a path to the back of the yard in a diagonal pattern. Garden designer and author Tim Newbury suggests using structures such as a trellis screen and pergola along with plants to break the yard into smaller areas that soften the rectangular shape of the yard. Other elements to add include a water feature near the seating area and an arch along the pathway. 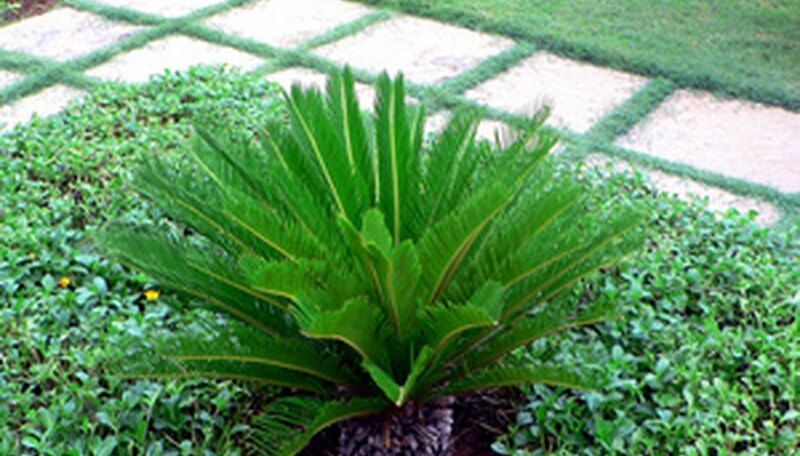 Plant lawn grass in open spaces and a traditional mix of trees, shrubs, perennials and grasses, which soften the landscape and add movement. Some plants to use include clematis, a climbing flowering plant; hydrangea; vitis vinefera, a vine that works well with trellises; juniper tree; acer tree; liriope muscari (lilyturf); day lily; and miscanthus, an ornamental perennial grass. Use perennials to create a low-maintenance landscape. A water garden makes water the main feature to create an relaxing landscape. If you don't have slope in your backyard, stair-step flat rocks to create a cascade of water into a larger pool. In small gardens, use movement from side to side to create a layered landscape. Use ferns and hostas in the moist soil by your pool or pond and alpines such as campuanula, sedum and phlox, which grow well in between rocks and stones. 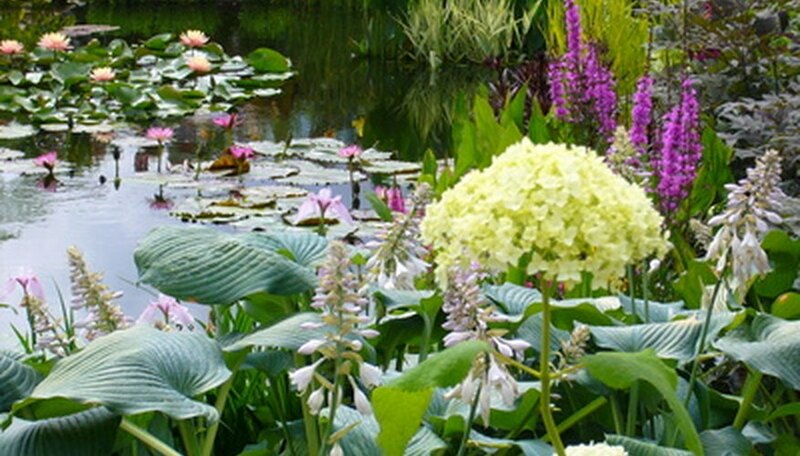 Aquatic plants such as the calla, hottania and waterlily can be used in a pond. Japanese maples, dogwood, spruce, willow and birch trees also fare well in landscapes with a water garden. "The Practical Rock & Water Garden"; Peter Robinson; 2009. "Great Garden Designs"; Tim Newbury; 2005.